I am and always have been a carnivore, apart from a tiny blip when I decided to become vegetarian for a year to challenge myself. And challenging it was, so much so that I started including fish after a few months then finally caved at a BBQ serving what smelt and tasted like the best hog roast in the world. 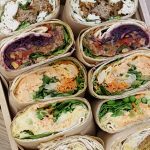 So when friend and fellow blogger Binny invited me to a vegan-inspired event at Innocent’s Fruit Towers, I was sceptical to say the least. 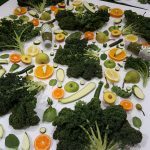 To promote the launch of their new Gorgeous Greens juice and her recipe book Nourish, Innocent teamed up with Amber Locke, aka @rawveganblonde, who has shot to fame for her delectable fruit and veg art. 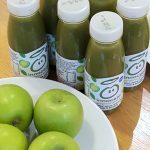 It was the perfect collaboration, as Innocent and Amber are both on a mission to show us how fresh fruit and veg can be easily incorporated in our daily diets. 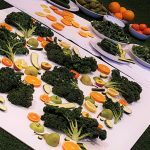 The moreish juice, which contains apples, pears, spinach, kale and baobab, was the natural inspiration behind Amber’s piece, and these raw ingredients were colourfully complemented by oranges, lemon, courgette and peaches. A general project brief is the only planned element of Amber’s geometric creations, which take on a life of their own as she spontaneously arranges the items on a plain, flat background. At home, her preferred surface and surroundings are white, thus letting the beautiful fruit and veg take centre stage. She tends to position the larger items first – kale in this instance – and work backwards until the smallest pieces are slotted in as the final flourishes. 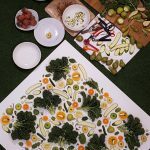 Scoring the ingredients and cutting them into different shapes and sizes is one of her favourite techniques and ensures that the art is as visually stimulating as possible. Her pet peeve being wastage, she’s absolutely adamant about repurposing the food into smoothies, salads and soups. She may have an A Level in Art, but Amber didn’t plan on becoming an artist, much less one encouraging the benefits of a raw food diet. 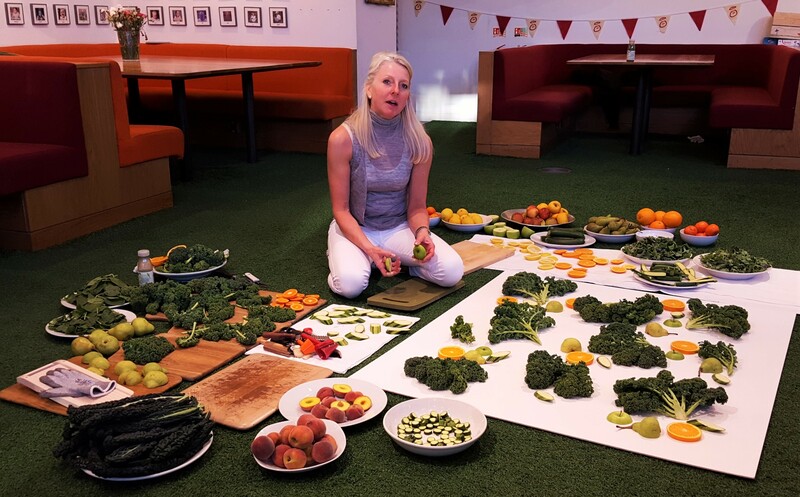 A foodie at heart and a keen cook, she discovered the raw lifestyle around 2.5 years ago and hasn’t looked back since; eating fruit and veg in their natural state has greatly improved her energy levels and overall well-being, making her feel more motivated than ever. When a tech-savvy friend working for Jamie Oliver suggested posting her creations on Instagram, she enthusiastically followed his advice and received an overwhelmingly positive response. 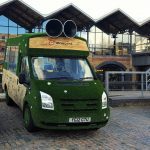 The number of followers then grew organically, later earning her an invitation to participate in Jamie’s Big Feastival in 2015. In addition to being commissioned by food, health and fashion magazines (Contributing Editor of Vogue and nutrition expert Calgary Avansino is also a big fan), Amber’s dream collaborators would be M&S and Hermès, the latter’s legendary silk scarves being a source of inspiration. Stepping out of your comfort zone can be scary, but the challenge is usually worth it in my experience. Before meeting Amber, I shunned the idea of replacing beloved dishes such as steak frites, roast chicken and fish pie with lots of uncooked fruit and veg. 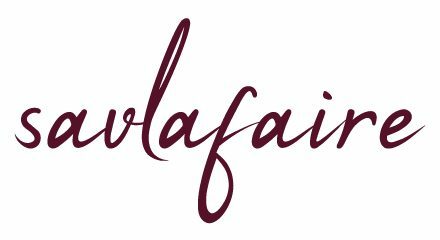 To quote the lady herself, however, “life is all about balance”, so while she eats raw and vegan 90% of the time, there’s always room for guilty pleasures like red wine, meat and fish. 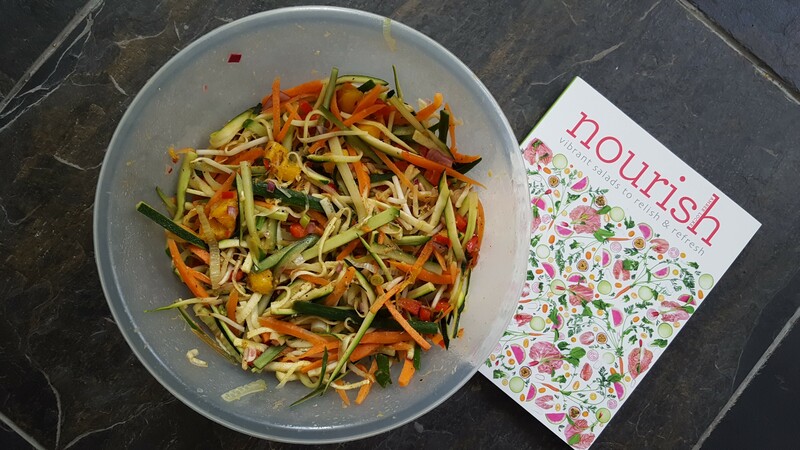 Spurred on by the vibrant colours in Nourish, Chef Savla rustled up the Sweet and Sour Veggie Noodles for lunch, where the “noodles” are actually thin strips of vegetables dressed in a zingy, Asian-style vinaigrette. We both loved the crunchiness and freshness of the dish, although the raw garlic was a little too strong for our liking. Also, since everything is raw, the body digests it much faster, meaning we were hungry again 3 hours later. These minor points aside, I’ll definitely be adding more vegan salads to my diet, albeit with a chicken or fish accompaniment.